As we spend the last few days readying for the Houston FIRST Championship, we want to take some important time to say Thank You – Thank you to our mentors, family and friends, who have been doing so much to help us prepare for the international Houston FIRST Championship, and thank you to our sponsors, who are helping us meet expenses for this exciting opportunity. One of our most generous donors this season is SOFWERX. SOFWERX was created under a Partnership Intermediary Agreement between Doolittle Institute, which is also FIRST LEGO League affiliate partner in North Florida, and the United States Special Operations Command (USSOCOM). Located in Tampa, FL. SOFWERX’s goal is to bring the right minds together to solve challenging problems for the war fighter. But they do some amazing community good in the process. 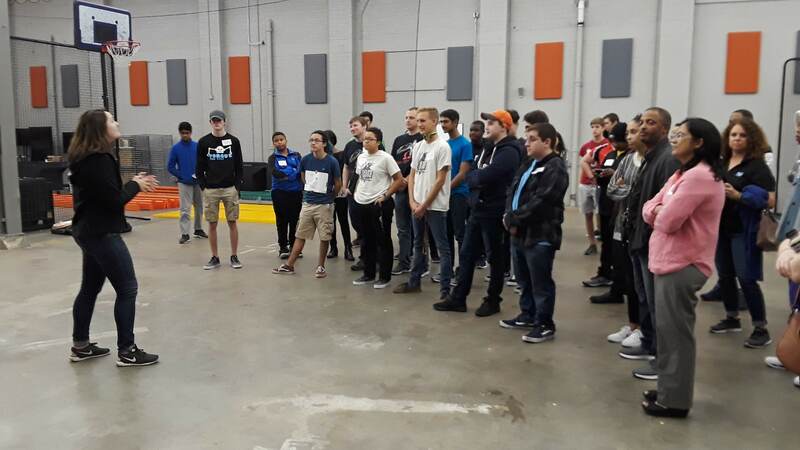 SOFWERX is a huge friend of FIRST and STEM education in Tampa, annually donating over $10,000 to area teams, plus co-hosting an annual live FIRST Robotics Competition kick -off in partnership with our nonprofit fiscal sponsor, Foundation for Community Driven Innovation (FCDI). SOFWERX also provides professional engineering pre-bag & tag reviews for the FIRST Robotics Competition teams, and sponsors FIRST LEGO League tournaments in Hillsborough County. SOFWERX has also contributed to FCDIs Advanced Manufacturing & Robotics Center (AMRoC) Fab Lab, where we’re the program’s first “house” team. SOFWERX also has a great internship program that many FIRST alumni have been part of, including our own Ryder Fitzpatrick. We’re very grateful for their support and will do our best to make it loud and proud for SOFWERX and everyone helping us get to the FIRST Championship in Houston!